A visit to the spa is such a treat. Sadly, that doesn’t happen often enough. 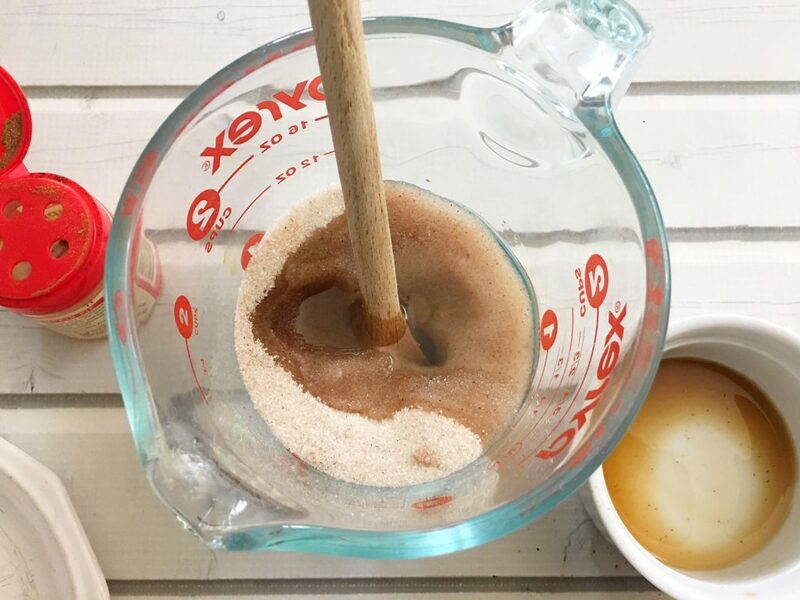 A good sugar scrub is a great way to get that spa experience at home. My skin is so soft and silky whenever I use a sugar scrub. 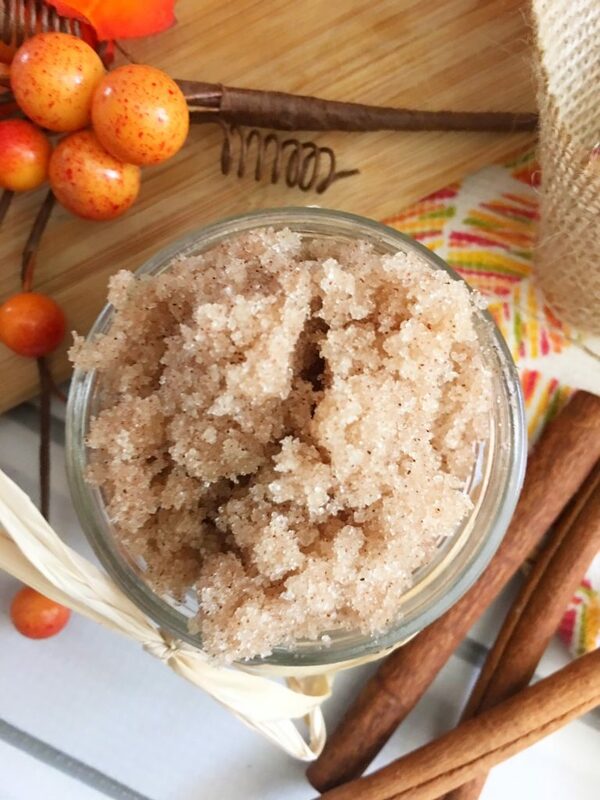 Now that it is Fall, pumpkin spice is everywhere so why not make a pumpkin spice sugar scrub. The scent is enough to know it is there, but it is not so overwhelming that the scent over takes everything. Sugar scrubs are great to exfoliate and soften skin and when it smells like pumpkin spice, you get the added benefit of smelling amazing. 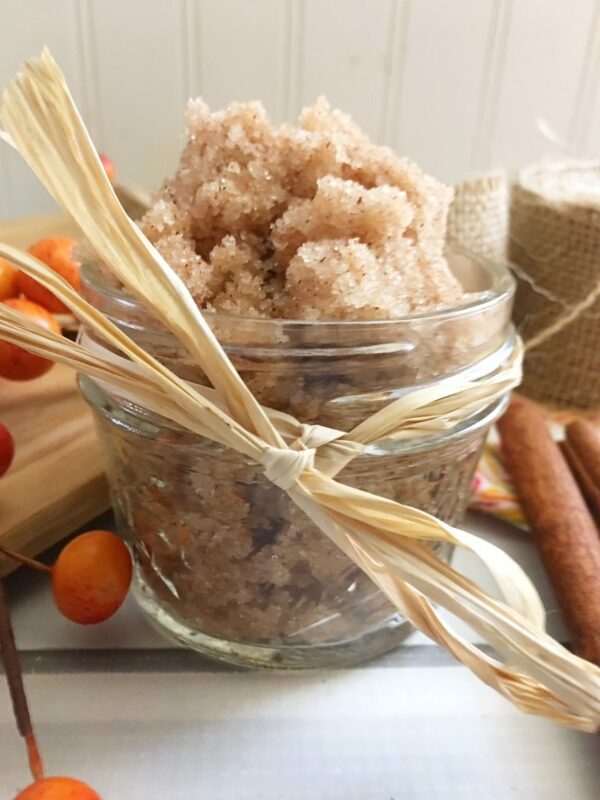 This pumpkin spice sugar scrub recipe is so easy to make because it only takes a few minutes and will last for a few weeks when it is stored in an air tight container. Keep it on the counter to use on your hands or keep it in the shower to use when you want that spa like feel. 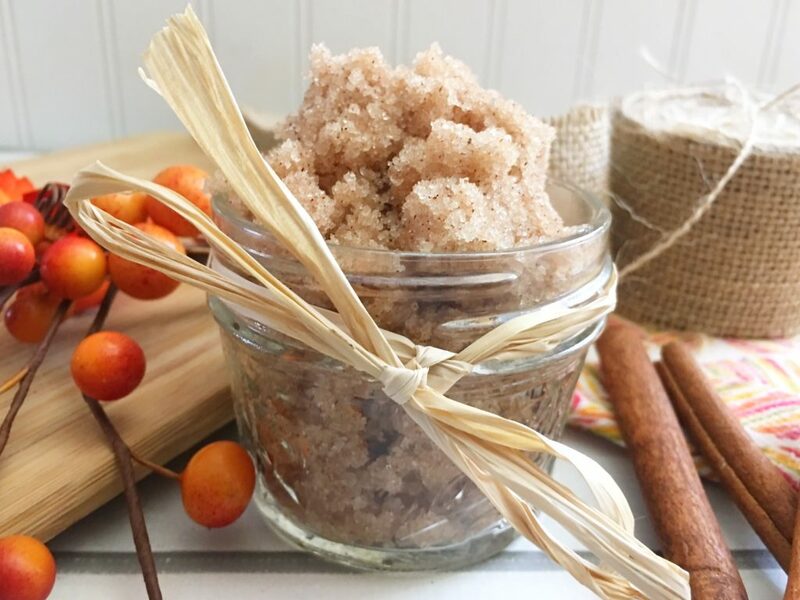 Make several containers of the Pumpkin Spice Sugar Scrub to use for yourself and it makes a great gift idea for busy moms who could use some extra pampering, for teens and preteens, or anyone who loves pumpkin spice. This recipes comes together in minutes, so it is also a great gift idea for a last minute birthday present idea. Use these little mini mason jars for gift giving! 1. Place your granulated sugar, cinnamon and pumpkin pie spice into a small mixing bowl and mix. 2. Melt your coconut oil. Once it is melted, mix the coconut oil and vanilla extract into the sugar mixture until you have a damp sand like texture. 3. Scoop into a small mason jar and use about a tablespoon at a time with warm water for smooth skin anywhere like arms, legs and feet. I bet this smells so good. I think it would make a great gift! I have all the ingredients to make this Sugar Scrub. It sounds amazing and this time of year with it getting cold, exfoliating is so important to the skin. I love how easy this is to make with ingredients i have in the house now! I bet it smells awesome too! I have never made or used a sugar scrub before. I be t this smells really good. This would be fun to try and to include in a gift basket! What an awesome idea for the holiday gift exchange! Thanks for the detailed instructions. This would be a great gift. I would love how great it smells. This will make a great gift for my sister and niece. They will love it like I do. Nice. I’m going to have to try this. I would love to make this to give as a gift! I was given a lemon scrub that I really love. 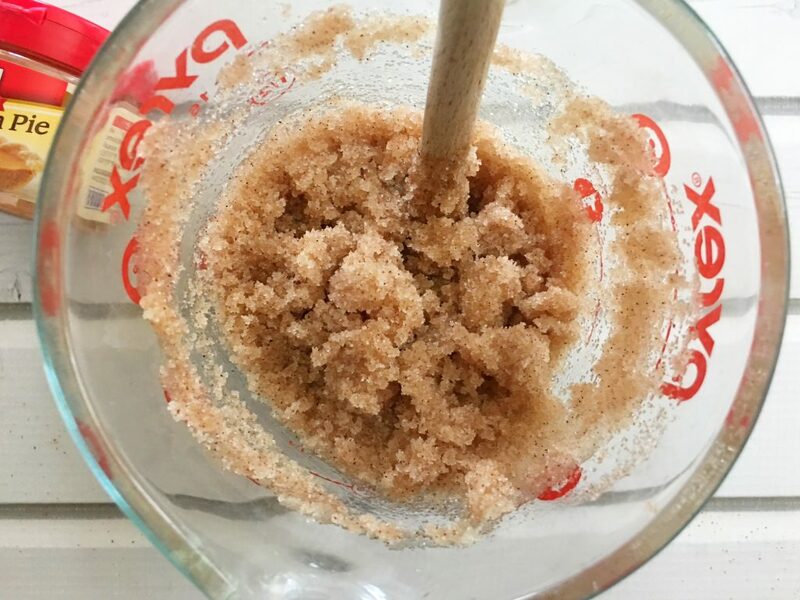 I make a homemade sugar scrub and love it. I’ll have to try this one too. I love pumpkin.